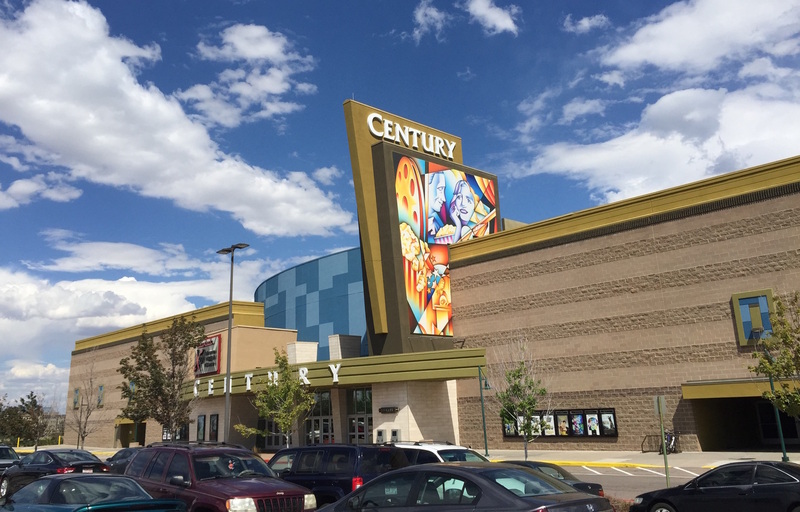 A photo by Juan De Dios Hernandez (my younger brother) taken today of the new Century movie theater in Aurora, which sits in the same spot where a mass shooting took place on July 20, 2012. I tried to get tickets for the midnight show. So on July 19, 2012, hours before the midnight showing of “The Dark Knight Rises,” I was crouched over my laptop, tapping in my Visa numbers on the Century Theatres website inside the Starbucks on Colfax and Chambers with an empty venti cup next to my Mac. We had planned it out for weeks. I was going to buy the tickets and it was going to be a sort of late birthday present (his birthday is July 2). This was our thing. I loved buying my little brother tickets and watching movies next to him, sharing overpriced popcorn and soda. I tried several times to buy the tickets for the midnight showing at Century 16 in Aurora, which was less than two miles from our house. My card was rejected each time. It was annoying. I remember feeling the disappointment, the bitter dejection growing in my stomach. I wasn’t looking forward to telling my little brother I had let him down. I walked home ticketless, enduring another boring day. I fell asleep after watching Adult Swim. I awoke at about 2 a.m., to a phone call from a relative. “Someone pulled a Columbine at the Century,” she told me. It was a horrifying way to phrase it, but I knew exactly what she meant. Someone had shot up the theater, a theater I had been to many times before, hanging out with Juan De and friends, enduring lousy dates and escaping reality for a few hours. Twelve people died that night on July 12, 2012. Seventy people were injured. The world must have felt like it ended for so many more who knew and loved the lost. Joan Didion once wrote: “A single person is missing for you and the whole world is empty.” This seems imaginable to me, this ineffable torture the families of the loved ones endured. Today, a jury found the man responsible for the mass shooting nearly three years ago guilty of several counts including first-degree murder for the 12 people he killed. Watching the decision unfold thousands of miles away in New Haven left me with mixed feelings. Nothing prepares you for the reality of a mass shooting. They’ve become too common; we can hardly describe them as unfathomable or unimaginable. The same day of this verdict, four Marines were killed in Tennessee when a man opened fire. Five months after the shooting in Aurora, another senseless nightmare unfolded in Newtown, Conn. I can’t help but imagine the families of the 27 victims of the Sandy Hook shooting, and what they thought when they took in the jury’s decision in Aurora. Are they confused, desperate or frustrated? Has forgiveness soothed their grief? Families who lost loved ones in both tragedies may never get closure. But at least the families in Aurora got a measure of justice. This tiny lighthouse of solace beckoning near a sea of sorrow they, nor any other family, should ever have to occupy. Ours was not a tiny community. We are a sprawling, booming Denver suburb full of life and culture, and aspirations and fears, and courage and problems, and above all, hope. We are like so many other towns and cities struck by tragedy. When I think of Aurora, I don’t think of the shooting – I think of home. Today I miss Aurora because of how I remember it. It’s where my family and friends get to enjoy its odd weather and views of the Rockies. It’s where I had my first kiss. It’s where I learned to write like I speak. It’s where I made memories no amount of sadness could ever rip apart. The shooter decided one evening to attempt to destroy what’s always made us strong. He didn’t accomplish this goal. It’s never been about the resolve we created, it’s been about the resolve we shared. But guns cannot mow down resolve. They cannot mow down my desire to watch another superhero movie with Juan De or any other friend. And while a court ruling will not reverse the damage, it’s my hope that it brings some closure to those who lost the most that night. If their despair is never assuaged, then their tragedy is never really over. I pray this is no one’s fate.